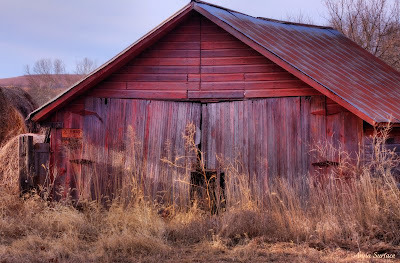 Sheds often exhibit fascinating surfaces, like this outbuilding photographed by Surface & Surface Photography, a photography partnership in Kansas -namely Preston and Anna Surface. Take a look at their online gallery. Shedman asked Anna why these structures fascinate her. "For me, it is the 'character' for each, no matter the state the building is in,' she says. 'Each one has a character about it, even when dilapidated. By character, I mean that a building has a certain resonance and history about it... its personality and story. 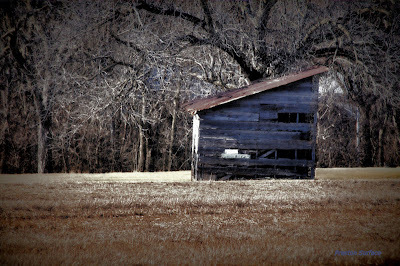 The old buildings such as barns stir my thoughts. Barns, outbuildings, sheds all served and still serve as shelters for various means as a connection to the life of humanity." Read Preston's thoughts on their website and see more images on their blog Abstract Reflections.